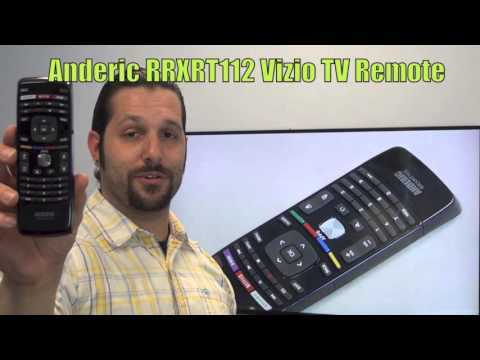 The original ANDERIC RRXRT112 for Vizio Remote Control is in-stock and ships within 24 hours. The original ANDERIC RRXRT112 for Vizio Remote Control carries a 1-Year Warranty. HIGH-QUALITY ITEM - 1-YEAR REPLACEMENT WARRANTY INCLUDED. Save some money and purchase the Anderic RRXRT112 to replace your original equipment Vizio TV remote. The Anderic RRXRT112 will work identical to the Vizio XRT112, without any programming. 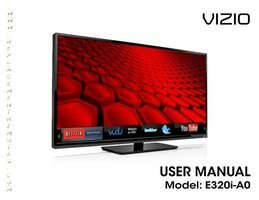 Works all Vizio TVs. No programming needed. Simply install batteries and BOOM, it will work your Vizio TV, Guaranteed! The Anderic RRXRT112 remote control replaces many original equipment Vizio TV remotes. The RRXRT112 will work right out of the package for compatible Vizio TV models listed (but not limited to) without any programming. The RRXRT112 is a pre-programmed Vizio TV remote and cannot be programmed to any other devices. The remote includes popular features like NETFLIX, MENU, INPUT and of course, all other buttons for normal operations. For detailed information on how to use this product with your TV, please refer to your TV's operating manual. This remote comes with a 1-Year Replacement Warranty. by sess on April 07, 2019. Works just like the original remote. Put the batteries in, and everything worked as it should. by Terry on January 21, 2019.
by John on December 08, 2018. Fast shipping and works as stated. preprogrammed ready to use after batteries installed. by Ronald on October 26, 2018. Works very nicely. Promptly shipped, no issues, thanks. by Susan on October 18, 2018. Great customer service! Arrived very quickly!! by Melanie on October 18, 2018.
by linda on September 12, 2018. I think these are better built than the factory remotes. by Edward on August 14, 2018.
by William on August 02, 2018. My amazing dog ???? keeps finding the remote and chewing it to pieces. This website has been an entertainment blessing. They are quick and very affordable. by Cynthia on July 23, 2018.
by Gary on July 18, 2018.
by Domingo on July 18, 2018.
by William on July 14, 2018.
by Ronald on May 07, 2018.
by Charles on April 17, 2018. It works and no programming required! Works better than my original remote did. There is no keyboard, but I did not need one. Cost of this remote is an excellent buy. by Michael on January 23, 2018. Received the remote quickly, packaged well, and is the correct remote for the TV - works great. by Steve on November 27, 2017. Work right out of the box just add batteries. No programin. by David on November 04, 2017. No problems, seems to work great so far! Thank you much! by Rodney on October 25, 2017. It works very well with my TV. I'm very happy with this purchase. by JuneVictoria on October 21, 2017. Great product however the shipping was too expensive. by Alexander on July 20, 2017.
by Timothy on June 21, 2017.
by Michael on May 02, 2017. This is exactly what I have been looking for. Works great on our Smart tv's. by Rosann on March 30, 2017. It doesn't work & I'm return it. by Kathleen on March 13, 2017.
by Christie on March 05, 2017.
by Carl on March 03, 2017.
by Martiniano on January 29, 2017. Fast shipping, works really good. Like it alot. by Mayra on January 24, 2017.
by mike on December 05, 2016.
by Susan on October 04, 2016.
by christie on June 10, 2016. Great service. My remote stopped working and they sent me a new one, under warranty. by Kim on June 08, 2016. Great look and feel! Needs more transmit power. TV seems slow to respond to button pushes. Should have come with TV to button correlation list (ie: instructions). by Kim on June 01, 2016.
very nice, just like original. by Mark on May 31, 2016.
by Glenn on May 25, 2016.
by Anonymous on April 19, 2016.